The construction industry in America and across the world is one that is full of promise, accomplishment, and assured revenue, but unfortunately, it is also fraught with danger, both for employees and the general public. Construction sites typically feature a variety of hazards, including slips and falls, objects dropping from high distances, and unstable, unfinished structures. As a result, both owners of construction companies and employees of construction companies need to be protected through solid business insurance. In many cases, construction workers, including HVAC technicians, day laborers, foremen, and more are faced with potential health and safety risks that are not found in other industries. Because construction actually involves constructing physical structures, accidents are bound to happen, and when they do, they can lead to potentially hundreds, thousands, or even more in potential medical costs for injured parties. On top of that, people who are not involved in a particular project may also be injured, such as individuals walking by a construction site on the sidewalk. These injured individuals are not covered by workers’ compensation laws, meaning their safety is all the more important, and these concerns need to be met with business insurance protection. While there are plenty of safety regulations and practices that you can institute at the sites where your company is constructing buildings and residences, none of them will really matter unless you have the right business insurance protections. Business insurance offers not only peace of mind, but it also offers financial protection in the event that an employee, customer, or bystander is injured as the result of your business dealings. For example, if an individual is walking past a construction site that you operate and is struck in the head by a falling tool, your company may be faced with thousands of dollars or more in medical damages if you aren’t protected by business insurance. Likewise, if your company is building a structure for a visiting client and he or she slips and falls, injuring himself or herself during the visit, your company and even you, personally, may be facing serious financial repercussions as a result. Although it may be difficult to see in some regions, the construction industry is on the rebound after the decline that began in 2008. As home values are once again climbing and qualified buyers are seeking out properties and land, construction companies have seen a rising tide in the building industry. This means that it’s all the more important for construction company owners to seek out and carry the right amount of business insurance coverages. 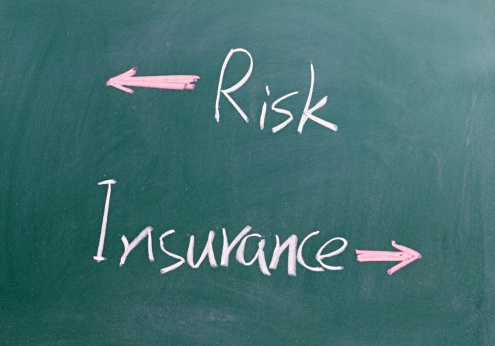 In fact, even if you currently have business insurance, now would be a good time, during a period of growth, to reevaluate your current protections to ensure that your company, its employees, and others are covered. To learn more about business insurance for your construction company, contact Poms & Associates by visiting www.pomsassoc.com.